As I picked it up from the auction house. 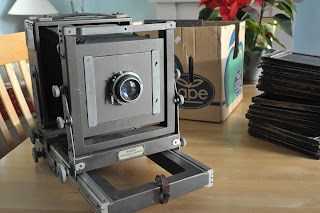 The idea that other people might get some sort of vicarious thrill by looking at pictures of a camera, usually a Leica, being "unboxed" has always struck me as odd. I like cameras but I'm afraid I can't share in the excitement of a remote event taking place possibly thousands of miles away with no relevance to me. 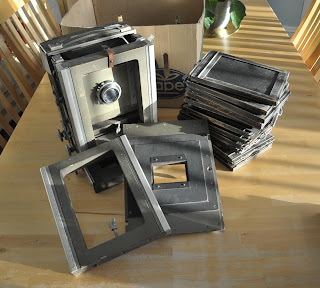 So this unboxing of a 60-year-old, dusty half plate/5x7 giant is more in the spirit of a parody than anything serious! It's the latest addition to my camera collection, picked up cheaply at a local auction where I've had some success in the past when camera hunting. I'm not sure what the future holds for the Kodak Specialist Model 2 as it's a big, heavy beast and it takes a stretch of the imagination to see myself carrying it any distance in a bag out in the field. 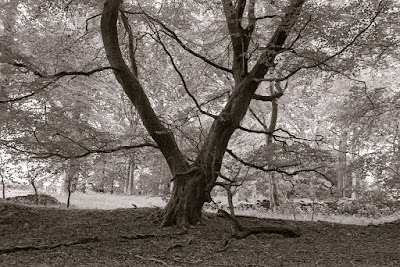 I've not fitted it to my ancient Slik tripod - a Linhof copy and quite a sturdy platform - but I'm not too confident that the tripod is man enough for the job and I wouldn't go out and buy another one just for this camera. These cameras were usually studio-based. It's a versatile tool with a tilting front and tilting and swing back. The camera I won also had the rear rail extension which permits the use of long lenses, something that often goes missing. The bellows looks in good condition with little apparent wear but anyone who's had anything to do with this type of camera knows that you should never get your hopes up about "light tightness" until the proper tests have been carried out. 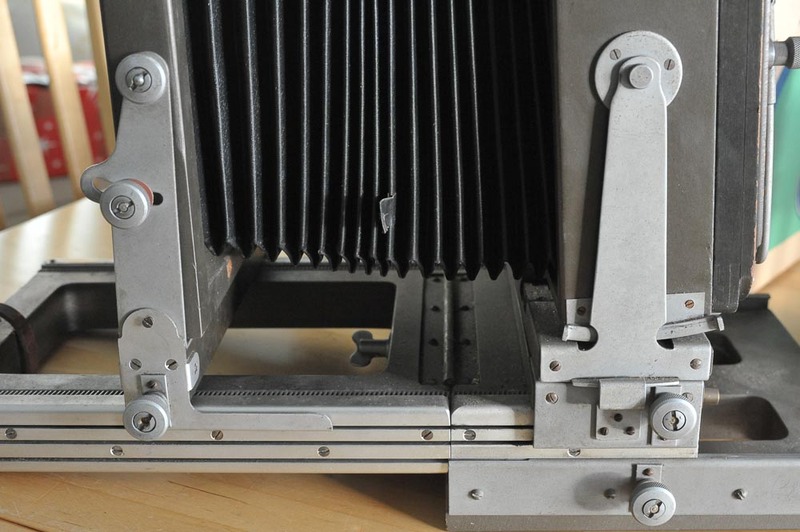 Even pristine-looking bellows can be riddled with pin holes. Still, I'd rather find the bellows in this condition than all worn-out and ragged! The Specialist 2 was made in Britain for Kodak during the 1950s. A Specialist 3 view camera was also produced. 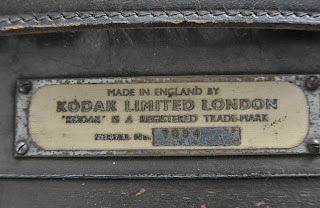 I believe they were developments of US-made Eastman Kodaks dating back before the war. It's largely constructed from hardwood with a painted finish. Everything was probably over-built which explains why it still feels solid and functional today. 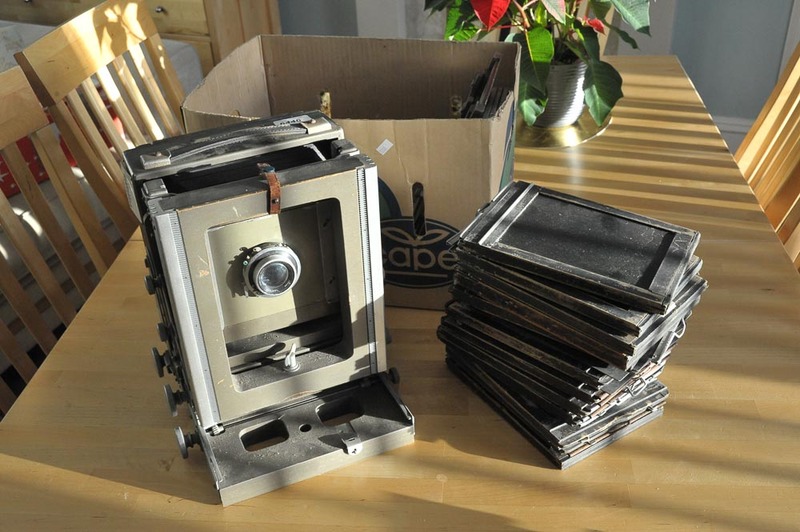 I've got about ten, wooden, double dark slides for it but I think only one or two will be light tight. The fabric hinges at the end opposite where the slide is inserted are in poor shape and almost certainly leaky. 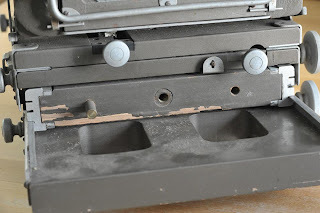 It's not a big job, though, to get some book binding material and replace the hinges. 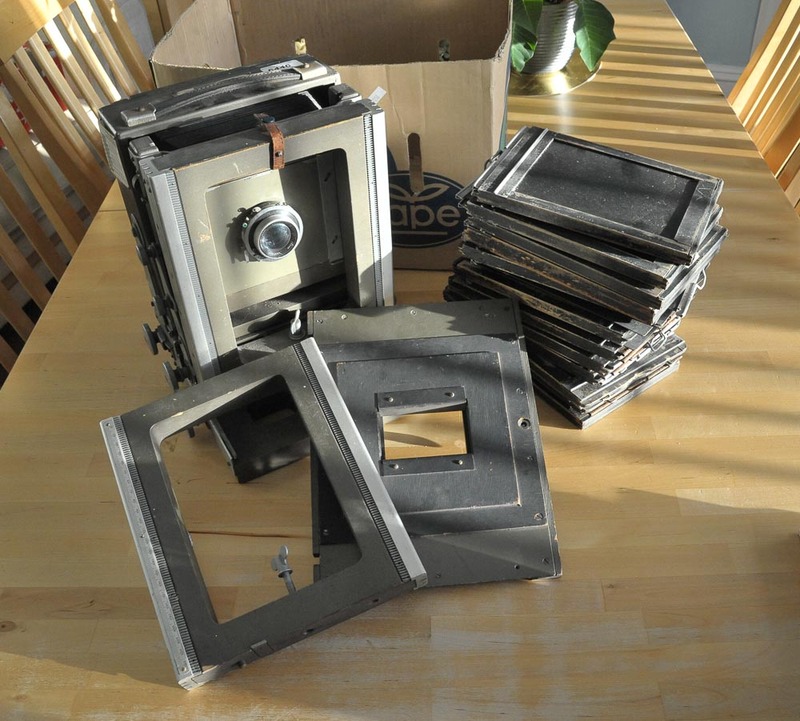 The slides are all half plate but they share the same exterior dimensions as 5x7 slides with which they're interchangeable. Another interesting bit of equipment it came with is a "repeating" or sliding back. You can see it in the middle of the third pic from the top leaning against the camera. 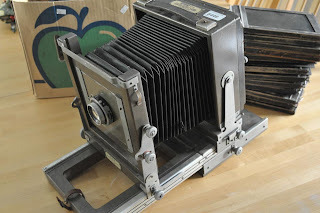 When I checked the camera over on the viewing day, I thought that the back was for taking two photographs on a sheet of half plate or 5x7 film. Only when I got it home did I find that it is in fact for taking two photographs on quarter plate film. That makes it less useful to me so it's probably Ebay-bound. My guess is that the camera was used with the sliding back which would account for the fact that it came with a 135mm f4.8 Wray Lustrar lens, which covers 5x4, rather than the standard 203mm Kodak Ektar which just manages to cover 5x7. This is the lens as I found it. 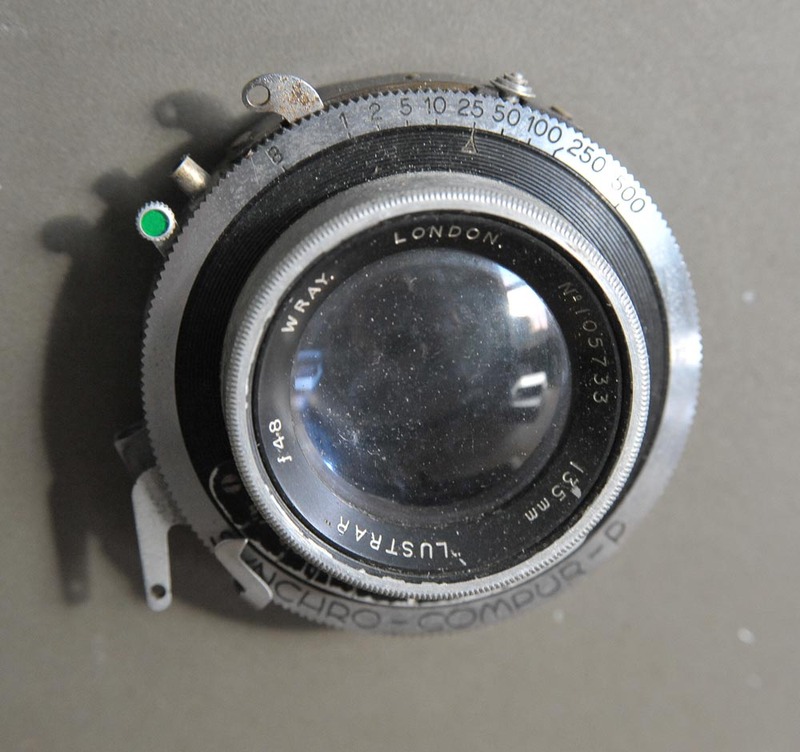 The exterior glass surfaces were grubby and the slow speeds on the Synchro Compur P shutter were sticky. A gentle cleaning had the glass looking very nice, except for a light haze on an internal rear element. Exercising the shutter after giving it a few drops of lighter fuel has it working very well now with the speeds all sounding accurate. The Lustrar isn't the best lens ever to adorn a 5x4 camera but I'd imagine that it will be sharp enough when stopped down a little. The haze will no doubt lower contrast but I'd still expect it to be fully usable. 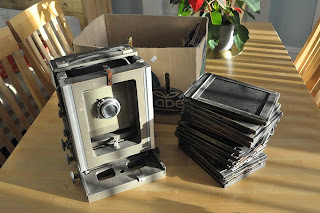 Having said that, I'm on the look out for the 203mm Ektar as I really want to shoot some half plate and the Lustrar may well be joining the sliding back in putting itself up for Ebay adoption. Some courageous souls would strip the Kodak right back to bare wood and stain and varnish it but I really like the understated 1950s appearance. It reminds me of the sets from the TV show Callan and if you can remember that far back, well done! Or maybe the Colditz TV series if that's any easier for you. Since taking these photographs I've given the paintwork a rub down with antiseptic wipes and cleaned all the dust off. I might remove a few small parts such as the carry handle when giving it a polish but it's working smoothly so there's no point in taking it all apart. So that's the stage I'm at with this one. 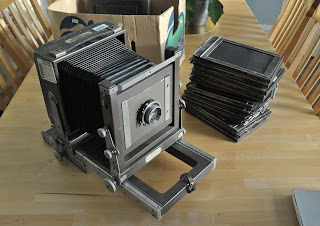 It's not going to see any use soon as I need to fix the DDSs and find a suitable lens and the bellows might yet hold some unpleasant surprises - that's my next job - but it will be fun trying it out. Whether or not I'll keep it remains to be seen but I love the idea of it and it might grow on me. Looks like you've picked up a hell of a project. 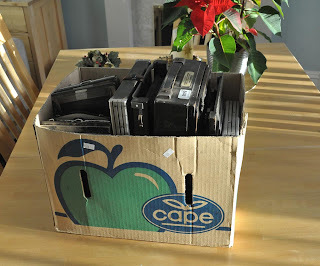 I agree with your comments on 'unboxing' YouTube videos. "Whatever floats your boat", as they say in San Francisco. Goodness Bruce - IT'S BEAUTIFUL! I completely agree with you about the paintwork, leave well alone and retain the original look. 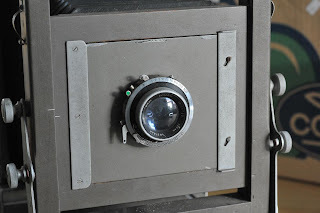 Although I'm a little too young to fully appreciate your 60s/70s TV references, to me the camera has an institutional air about it: something that might be found at the back of an old school cupboard bearing a county council stamp. That about sums it up, Michael. To be honest, I'm too young to get the TV references as well. Cough, cough. Now, after all this strip tease a la inverse I want to see pictures made with it :) looks like a lot of fun -and expensive-. What a great project to start the New Year with. I agree that best to keep the paintwork as is and retain its patina. Look forward to seeing some images in due course. Another visit to the allotment perhaps or WW2 buildings? I don't think the camera was too expensive - £60? The film will be, though! 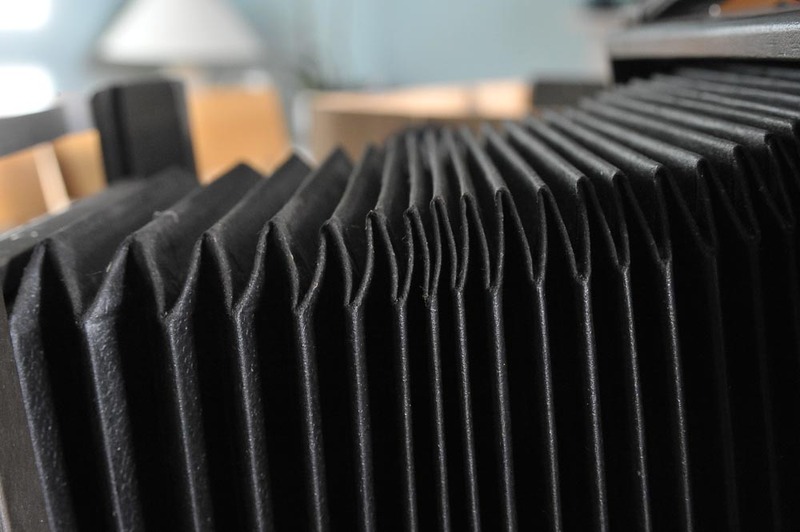 25 sheets of 5x7 FP4 is about £65 - and I'd need to cut it down to make it fit the half plate holders! 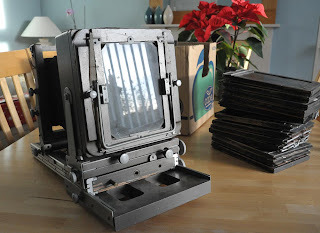 I'd be better off getting a couple of actual 5x7 film holders. They'll be getting fed up seeing me at the allotments! The WW2 buildings are a possibility, though. There's one I haven't visited that was used as a makeshift cinema by the troops stationed at HMS Peewit. Might be interesting. 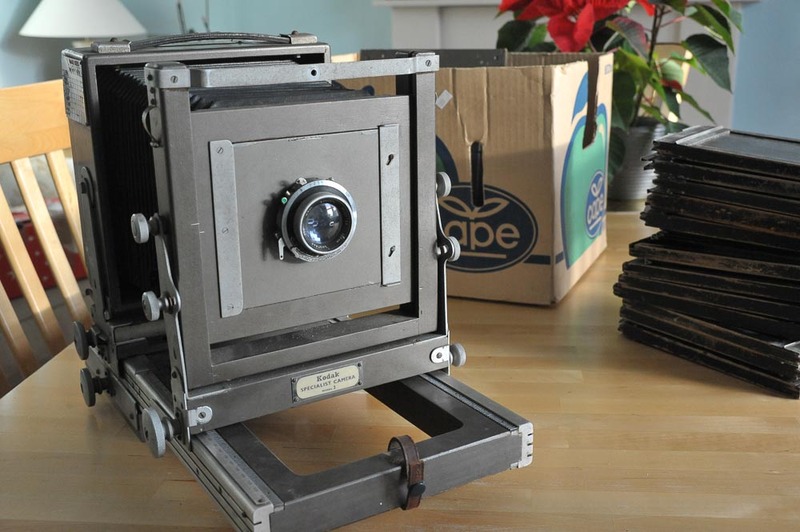 A beautiful camera that deserves to be used at its best ...shooting 7x5 . I know the film is expensive but you could save it for something special like close family members portraits . That would make a special family album in this digital age . A great bargain nice one Bruce. I like the idea about the family portraits! 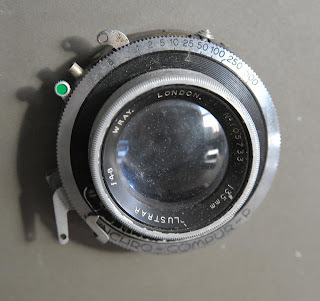 I recently got a similar camera, but without a lensboard, you wouldn't be able to show some pictures of the lens board and it's dimensions so I can figure out how to make a replacement? I'll see what I can do. It would be good if you could send me an email. I've come to this post a bit late. Firstly I'd like to reassure you that the tape hinge on holders isn't the light trap. If you open the flap fully, you'll see some sort of ridge and groove arrangement which actually blocks the light when the flap is closed. 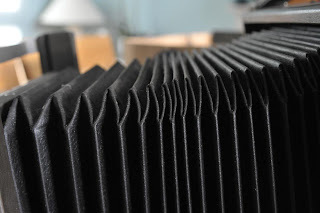 Book tape is a good thing to use but be careful of the thickness; you don't want thick tape to lift the holder slightly out of its proper seating in the camera back. Secondly, I suspect that the extra frame to extend the camera's bed may be intended for making close-ups. 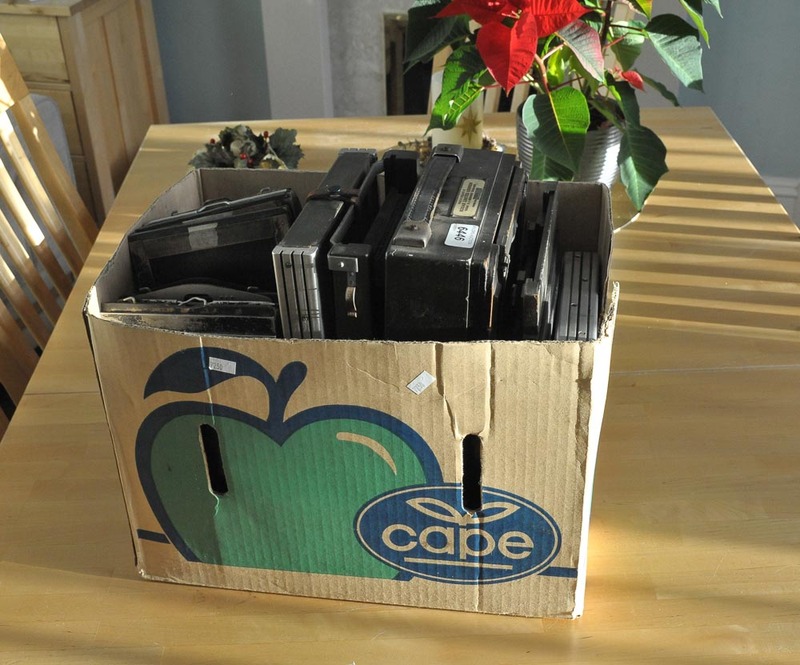 If it was a police camera, this would have been useful for recording documents and relatively small pieces of evidence. 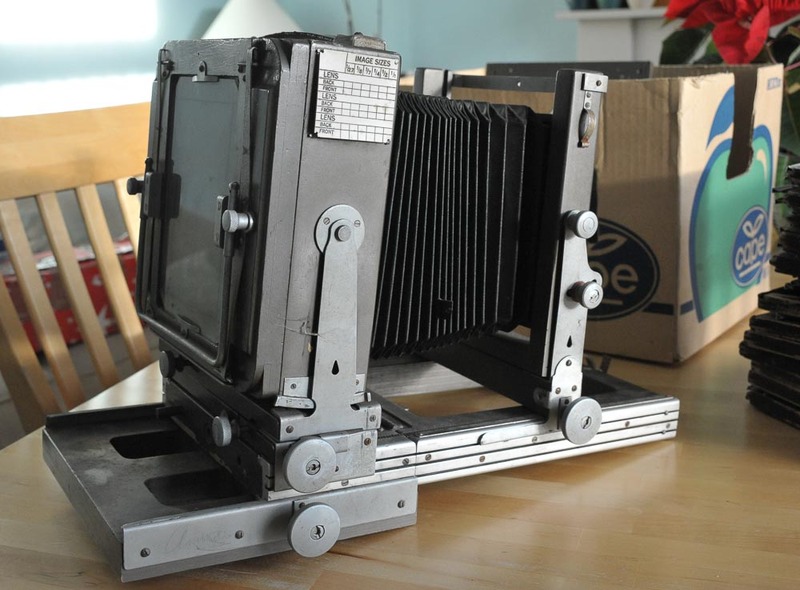 The police used large format cameras until relatively recently, when the conveniences offered by digital imaging made film obsolete. Thanks for that, David. 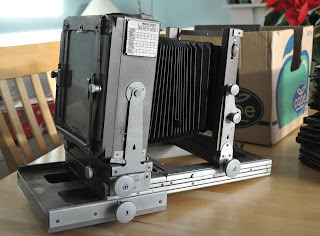 I've thought of another good use for the extended rear rack: if I attached the camera horizontally to a bench to use it as an enlarger, I could rack the back along this bed to vary the size of the projected image. It makes this sort of conversion almost straightforward, especially with cool-running LEDs available as a light source. Hello, I think I have the same camera. Are you parting with any of the backs? Its all I'm missing. classicberlin@gmail.com, kind regards. The backs are a pretty universal standard size and shape. With the extended rail, you should find ~1:1 'magnification' and the Lustrar might cover 'Half-plate'? All content copyright of Bruce Robbins. Powered by Blogger.